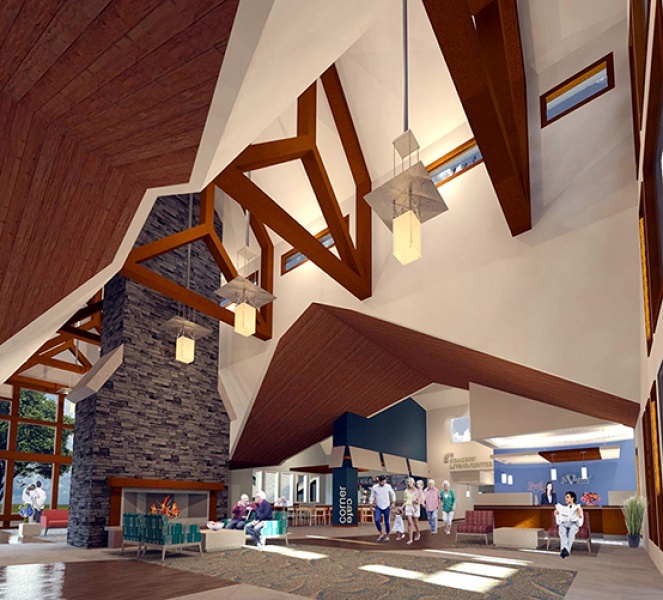 Grand Jivanté is designed to provide over 140,000 square feet of elder care living and wellness accommodations. A campus sprouting up from a 26 acre field will serve as a hub for the community at large to encourage interaction with, rather than isolation of, senior residents. 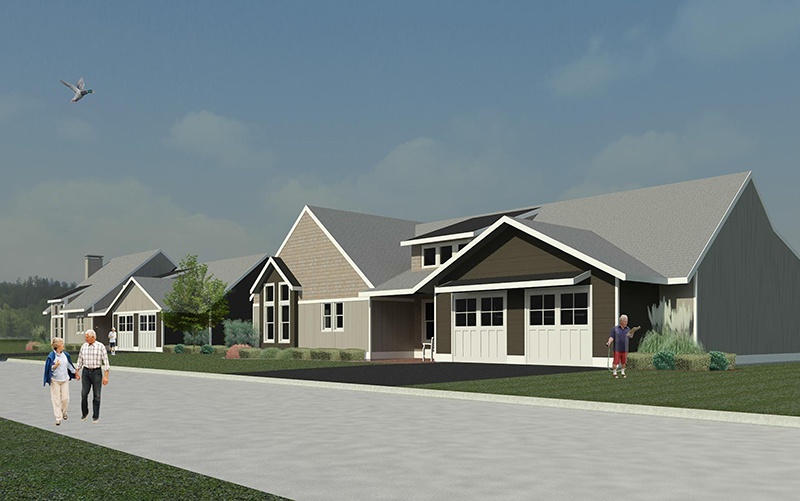 The Continuing Care Retirement Community(CCRC) in Iowa Falls allows residents to age in place and includes sixty four skilled nursing/rehab rooms in addition to flexible assisted/independent apartments. Living units are arranged in separate and uniquely finished households which function as self-sufficient and distinct populations in contrast to the traditionally institutional approach to senior care. All residents and visitors access a bustling Main Street with full amenities such as retail space, salon, café, and pub. 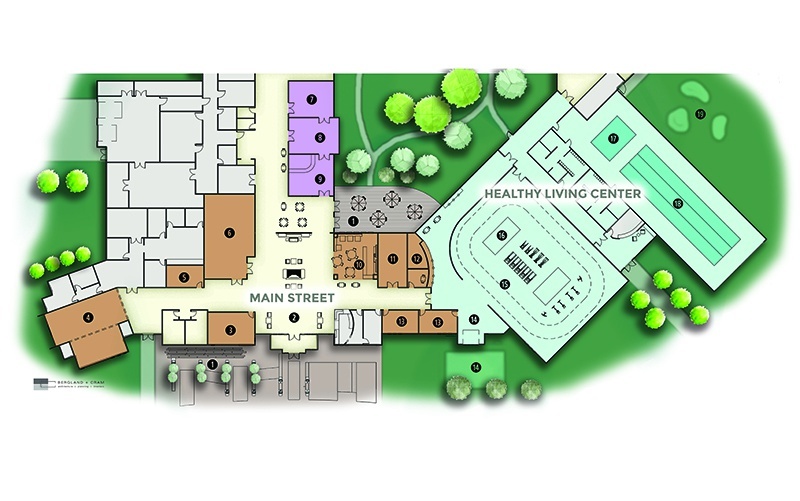 An attached Wellness Center includes a three lane lap pool, therapy pool, indoor walking track and fitness center. 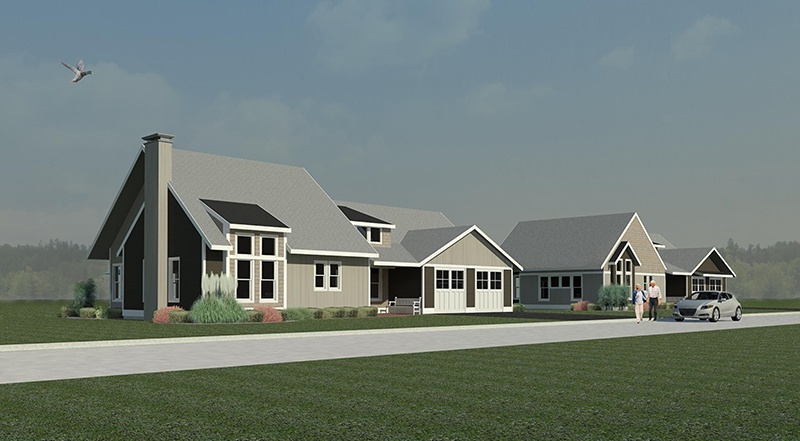 Stand-alone, single family homes for seniors complete the neighborhood.